In case you didn't know, Austin has roughly a billion bands. Almost everyone you come in contact with in Austin is either in a band, manages a band, blogs about bands or all of the above. So, when our local "arts paper" the Austin Chronicle calls you a band to watch, or best new band or anything like that, it actually means something. 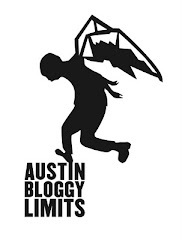 Fresh Millions is Austin Chronicle endorsed and bloggy-approved. Unfortunately for those of you here from out-of-town you really only have ONE chance to see them during SXSW and it's an official showcase at that. In other words if you are only going to free stuff and you didn't see them at Beauty Bar this passed Saturday then you're going to have to buy your way into their showcase at Red 7 Saturday night. They are playing a headlining set on the last official night of SXSW so that should tell you something about the caliber of musicianship here. This video is courtesy of a great, local music site appropriately called: Austin Music Weekly. You should check out their YouTube channel. Oh snap! Y'all are in luck. In addition to Fresh Millions official showcase mentioned above the break it looks like they are ALSO playing a free day party on Friday. It wasn't listed on Show List Austin (yet) but I found the Vagabond day party happening at Trailer Park Eatery on the band's MySpace page. It may not be the most prestigious venue in town but it will get you away from downtown for a few minutes and they have some REALLY good food. As of right now those are the only two shows I could find for Fresh Millions during SXSW but who knows more may pop up. In case you didn't know, it's really tough for local bands to get gigs during SXSW because obviously there are a ton of out-of-town/out-of-country artists booking gigs as well. Also, there is a sentiment that I am guilty of where those of us who live here feel like we can see local bands anytime so we're going to focus on the touring acts. That's why in the final push to SXSW I like to highlight a couple of local artists for the out-of-towners to check out.